Standing on the Southern summit looking toward the Northern summit, which is slightly higher. This mountaintop is a "bald", or a place where tall trees don't grow. 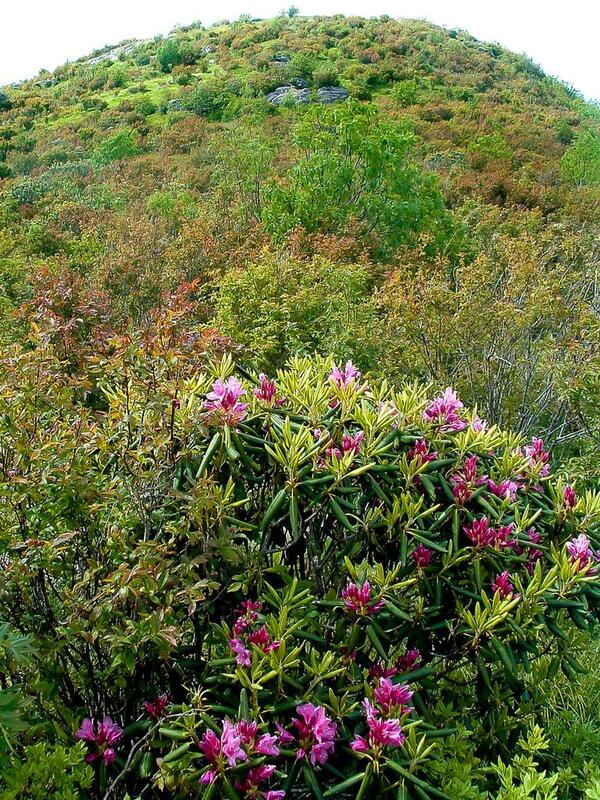 Some balds are just grassy or weedy, while some have heath plants such as rhododendron (foreground), mountain laurel, or blueberry covering them. Though the exact cause of the balds is unknown, most will be slowly taken over by trees if left alone (such as is happening here). Fire, mowing, grazing, or trampling is usually required to keep them bare.